Summer squash gets all the glory. It grows quickly and provides a high yield. My all-time favorite variety patty-pan matures in less than two months in the right conditions and keeps on giving all throughout the season. Winter squash, on the other hand, requires a longer growing season and in most cases needs more space than summer varieties. 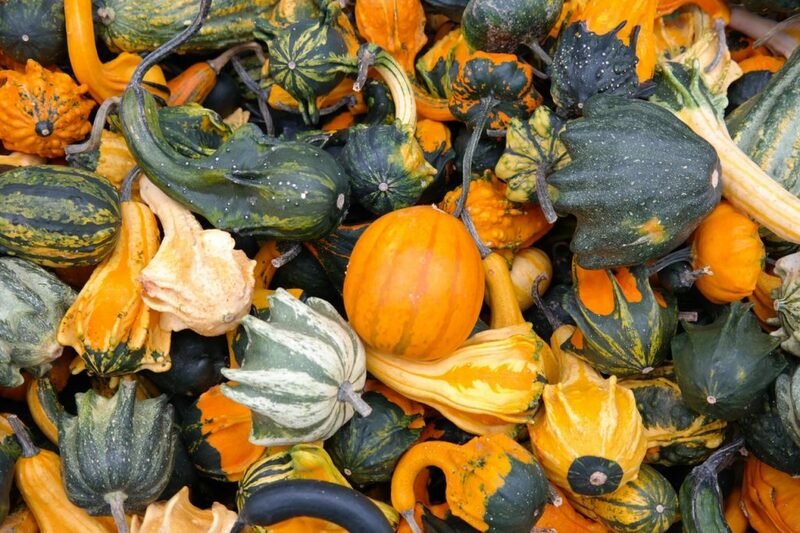 Does winter squash belong in the frugal garden? Absolutely! Squash – winter or summer – is a nutritious, staple vegetable that’s worth growing. Pumpkin is a winter squash variety that I covered about a week ago. The post contains information on the challenges of growing a large vining crop like pumpkins. Winter squashes have hard flesh and thick skins, unlike their delicate summer cousins. I should point out that winter squashes aren’t actually harvested in December as the name suggests. Instead, they’re picked in the fall and because of their thick-skinned character are easily preserved throughout the winter months. Winter squash keeps much longer than summer squash. If you’re tight on space, vining varieties are a no-go unless you have the patience to train and trellis your squashes vertically. Personally, while I love seeing vertically grown produce in other people’s gardens, I haven’t yet mastered the technique. In the past, my handmade trellises haven’t been strong enough to hold heavy squashes, and they mostly ended up taking up ground space. Red Kuri – One of the first winter squashes I ever grew in a shaded patch of garden at my parents home. I managed to get one beautiful bright red squash. I barely knew what I was doing, and it’s insane that anything grew in that patch of dirt, but this will forever be a favorite of mine. Some folks prefer to start seeds indoors and transplant winter squash seedlings in the early summer months, while others find direct seeding is more successful. I’ve had some success with direct sowing, but the very variable weather is always a challenge. When planting squash of any type, even compact varieties, give your plants plenty of room. Crowding your squash babies is likely to stunt growth and result in a less than stellar yield. Finally, don’t be afraid to experiment. If you want to try your hand at vertically growing butternut squash or letting those pumpkin vines flow along your garden path, go for it. No rule says you can’t. « Is it Worth it to Grow Your Own Pumpkins?